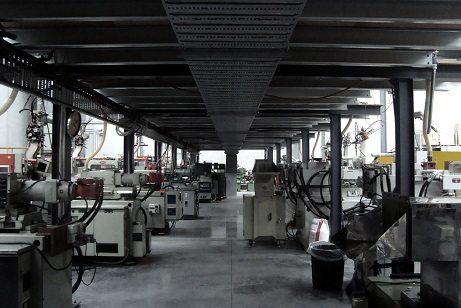 GS Group is a privately owned Australian company, with expertise in precision injection moulded plastics and serving a broad range of industries including medical, construction, mining, industrial, manufacturing and retail sectors. We manufacture a diverse range of technically sophisticated products using a wide range of plastics. We have hands on experience in processing both commercial and engineering materials in transparent, opaque, powder coating plastics, filled or reinforced grades. Our customers are leaders in their market sector. To improve their products and expand their market reach, they leverage off our knowledge and expertise to investigate the range of options, trial materials, fine-tune product design and improve the quality of their product. We have 18 injection moulding machines ranging in size to 720 tonnes, most of which are equipped with computer-controlled robots for faultless process management, efficiency and lower product unit cost. Over recent years the GS Group has manufactured many hundreds of different types of components at competitive prices and to an exceptional level of quality. GS Group’s produced items are of a high quality and used both in Australia and internationally. Initiatives, like our continuous improvement program, focus management and staff on improving those elements necessary to enhance our performance. The areas of working culture and environment, facilities, equipment and staff wellbeing are particularly important to us as we strive to improve, expand and exceed expectations. We have built up our knowledge over the years in the areas of tooling, materials, quality and efficiency and we strive to assist our customers succeed in their endeavours, increase their market penetration, exceed their customers’ expectations, and minimise their costs in the process .